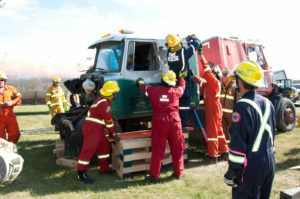 The Alberta Vehicle Extrication Association (AVEA) is a proud member of TERC Canada and the World Rescue Organization, committed to contributing to the reduction of injury and deaths of Albertans involved in transportation emergencies through education, collaboration, partnerships, learning symposiums and challenges. 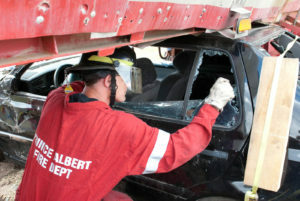 The Alberta Vehicle Extrication Association (AVEA) is a provincial representative in Alberta for the development and exchange of information, knowledge and skills in vehicle extrication and road rescue, and the support of rescue challenges. 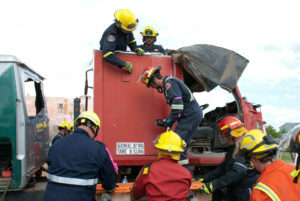 Its membership is drawn from the individuals and organisations in the emergency services that assist people at motor vehicle collisions every day, such as Fire and EMS Services. 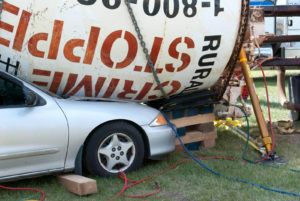 Vehicle extrication or road rescue is the science of making space to rescue people injured in motor vehicle collisions efficiently, and without further injury, in order to deliver them to advanced medical care sooner – this provides them the best chance of survival. AVEA helps to reduce this toll by striving to ensure the same high standard of rescue care is provided to those involved in road crashes anywhere throughout Alberta by creating and fostering the exchange of information and experience across its member individuals and organisations. 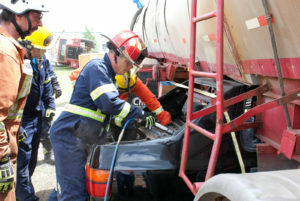 Through its involvement in auto extrication rescue challenges, and knowledge of the latest technologies, AVEA strives to improve the science and quality of rescue services provided to on patients and, therefore, a reduction in the severity of injuries. 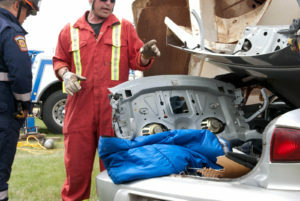 AVEA has contributed to an expansion of the knowledge base for the science of road rescue and helped make Albertan rescue skills comparable internationally. AVEA engages with other peak bodies, emergency management and road safety organisations to form networks with other relevant peak bodies, nationally and internationally.